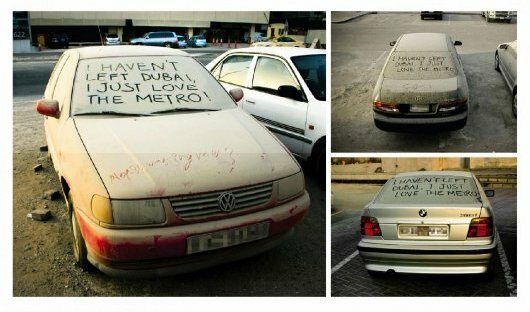 Dubai Metro a driverless, fully automated metro network in the United Arab Emirates city of Dubai, launched in September 2009. 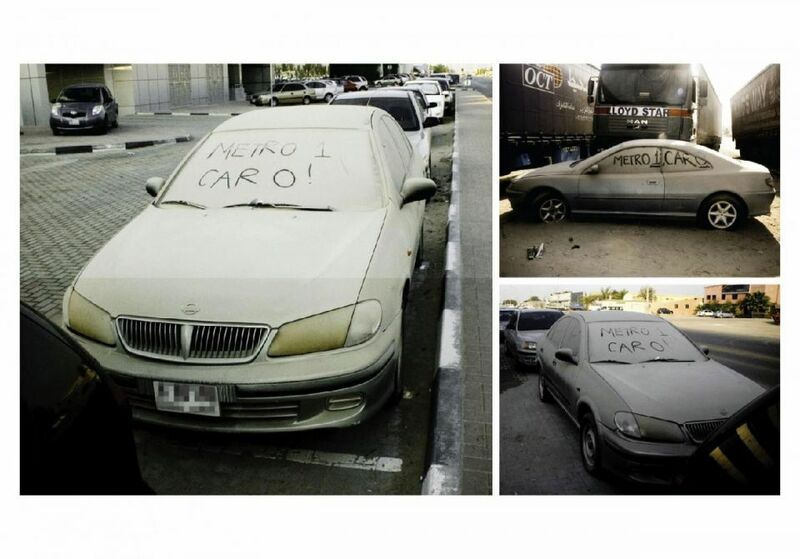 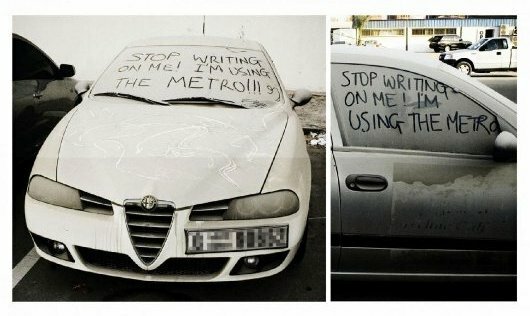 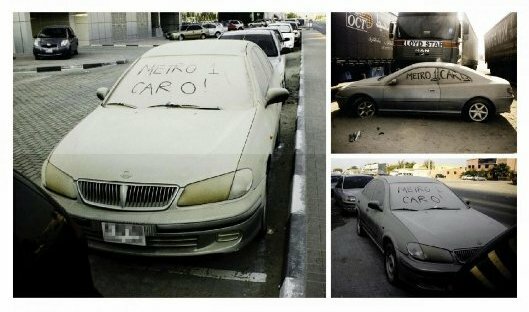 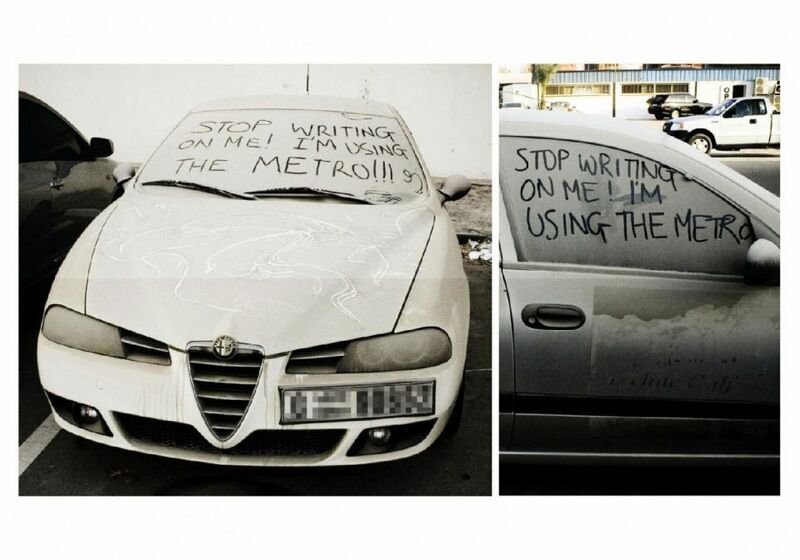 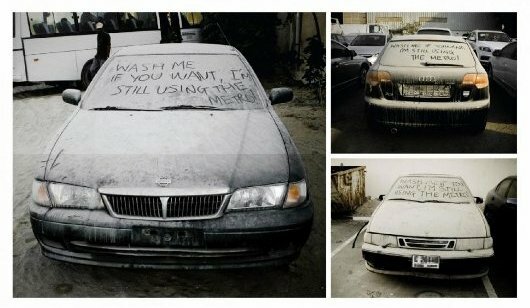 Commuters were encouraged to leave their cars at home and take the train with a series of messages written on abandoned cars around Dubai: “I haven’t left Dubai, I just love taking the Metro”, “Metro 1, Car 0”, “Wash me if you want, I’m still taking the Metro”, “Stop writing on me, I’m taking the Metro”. 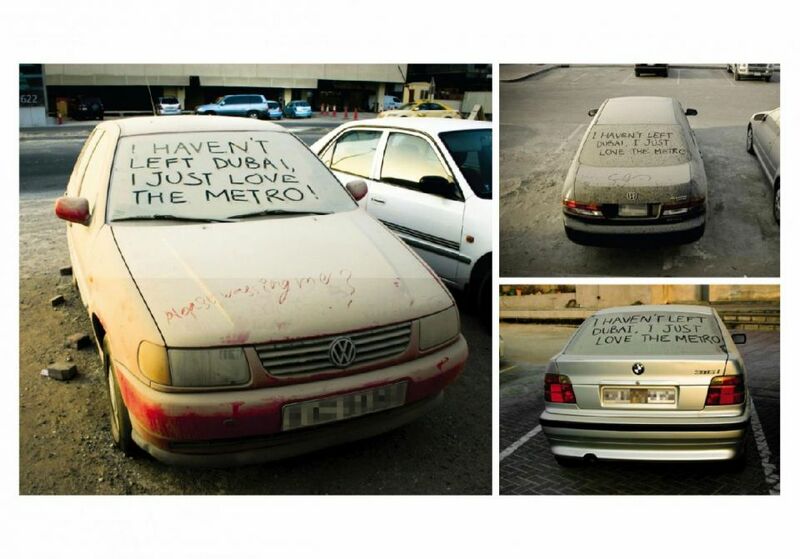 The campaign won the Grand Prix for Outdoor at the Dubai Lynx Awards 2010. 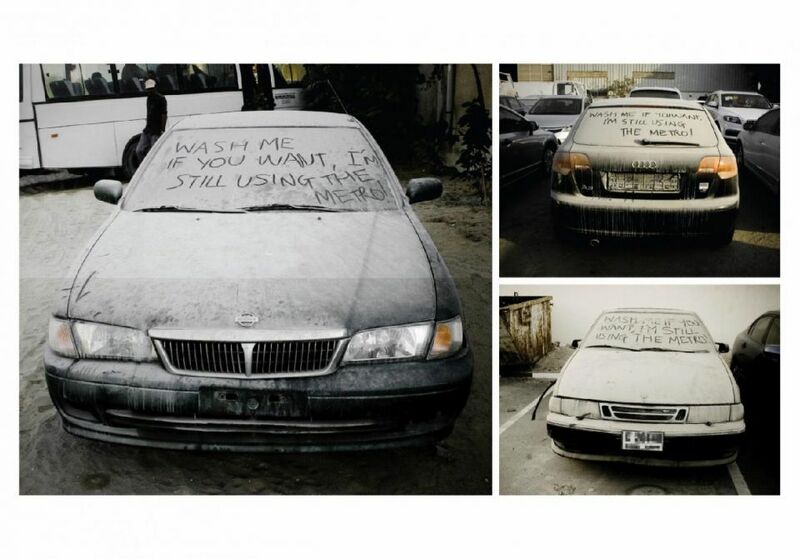 The Abandoned Cars campaign was developed at Saatchi & Saatchi, Dubai, United Arab Emirates, by executive creative director Marc Lineveldt, creative director Danny Higgins, copywriter Neil Harrison, art director Darren Jardine, photographer Tara Atkinson, account manager Hema Patel and account supervisor Chandresh Rughani, working with Metro marketing director Sara Mohammed Al Mudharreb.